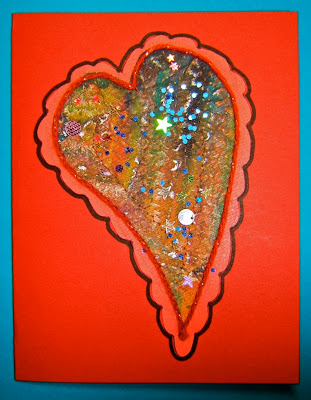 Thanks Nellie - the colours in this heart are so lovely, they positively glow. Happy Valentine's Day to you too. Same to you Nellie! I hope you get to do something you love! My husband and I wished each other a happy valentine's day yesterday, in case we forgot today! But your title reminded me, so I got to do it today, too. He laughed, and then wished me a happy valentine's day 2011 (in case he forgets)! I love the colors, they just glow. Happy Valentine's Day to you too! Happy Valentine's Day to you! I love the colors that you used on the heart. I wish everyone a nice one.